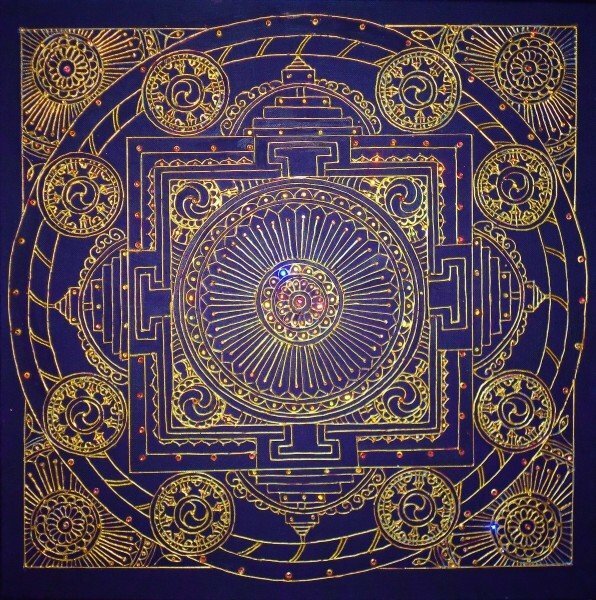 Violet Buddhist Temple | Artwork – Store – Tammi B. Ph.D.
Hand painted mandala 20" x 20" acrylic, mixed medium and Swarovski crystals. Created in reverence and respect for Buddhism and with the intention for peace. I can recreate this image for you in any color and any size.